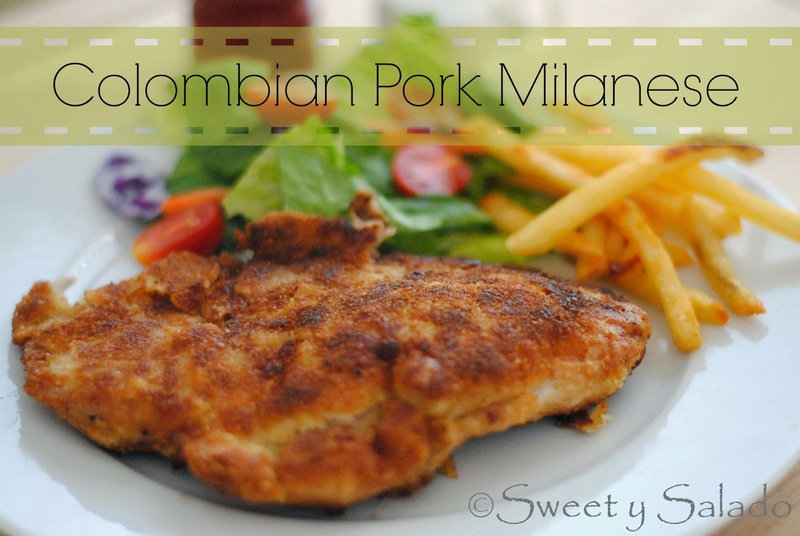 Chuleta valluna or Colombian pork Milanese is one of those classic recipes that is made all over Colombia and I was convinced that I had never had it, not in Colombia and not here in the US. The first time I made it, after seasoning and pan frying really well my pork chop, I tasted what I thought would be my very first bite of this dish, but as soon as I tasted it I was flooded with beautiful memories of my childhood when we lived in Palmira, Valle because that’s what we always had for lunch whenever we went swimming on the weekends, which my sister and I loved to do. 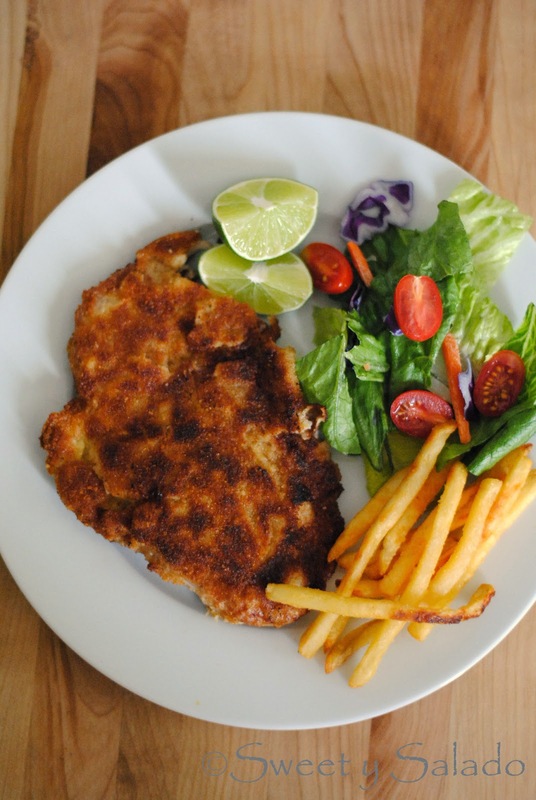 This recipe is super easy to make and I follow the same technique I use to make my chicken Parmesan, I always season really well every ingredient I use for the breading so that each bite is full of flavor. Of course, I don’t deep fry it the way they do it in Colombia and only use enough oil so that my pork chops don’t stick to the pan and come out with a great golden color. 1. Cover the pork chops with the lime juice and season with cumin, garlic, onion, salt and pepper. Make sure to do this on both sides. Place pork chops in a glass container, cover with plastic wrap and refrigerate for 30 minutes. You can also put them in a resealable plastic bag. 2. Place the flour in a large dish and season with salt and pepper to taste. Whisk the eggs with the water in another large dish and season with salt and pepper to taste. And finally, place the bread crumbs in another large dish and season with salt and pepper to taste. 3. After 30 minutes, take the pork chops out of the fridge and dredge them in the flour, shake off the excess. Then, dip them in the egg mixture, letting the excess drip off. And then dredge them in the bread crumbs covering both sides really well. 4. Heat enough oil (approx. 2 tbsp per pork chop) in a large pan on medium heat and cook the pork chops for about 6 minutes per side or until they’re cooked through and golden brown. Cook them in batches if you have to. 5. Serve immediately with French fries, a side salad, salted potatoes and/or arepas.